Bioroids and Bombots: Urban Combat: The Problem with Population. Urban Combat: The Problem with Population. In the 1940s, at the height of World War Two the world population was 2,300 million. By the early part of the 21st century this had risen to 7,500 million. At the start of the 22nd century and in the era of Transhuman Space population is 11,000 million. Most of this is located on Earth and it is likely around 70% of this will be in urban areas. Unless you are Judge Dredd, a “megacity” is defined as a city with a population of more than 10 million. In the 1950s there were just two megacities in the world. There were 22 by 2015. Some predictions suggest that this number will have increased to 50 by the 2050s. An alternate possibility is that the existing megacities will simply get even bigger. Whichever happens it seems certain that many military operations in the future will take place in areas with a high civilian population density. Such conflicts are likely to be “Congested, Cluttered, Contested, Connected, and Constrained”. Images from World War Two have accustomed us to the idea that urban combat will occur in relatively deserted areas. 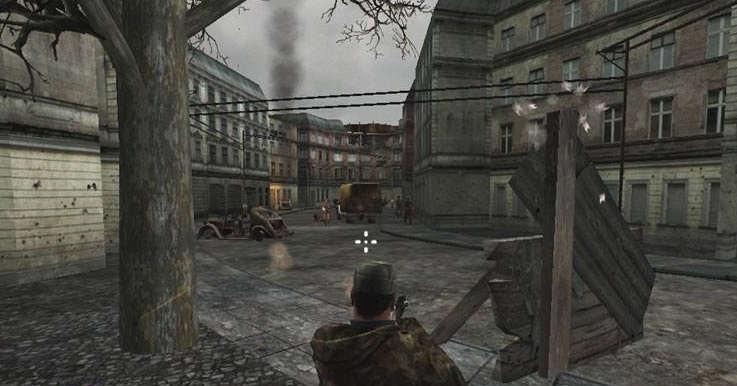 The depiction of Berlin in the video game “Sniper Elite” with its ruins, barricades and pavises is a good example. In future conflicts this may not be typical. Evacuating a city of several million people poses numerous problems. Even if this can be achieved, what to do with the displaced population will be an even bigger problem. Each individual needs shelter, food, water, sanitation and many other things. It is more likely that a large number of civilians will remain in the conflict area and attempt to progress with their normal lives as best as they can. This tendency can be observed in some of the recent European and Middle Eastern conflicts. A city with a large population needs considerable resources. In the past it has been a common strategy for combatants to attempt to control the movement of resources into a conflicted area. In the future humanitarian and less altruistic concerns may cause one or both sides to take measures to ensure that large local populations are kept relatively healthy, happy and fed. The presence of civilians may restrict the use of artillery and air power upon which some armies depend. Living cities have a circulation. They cannot function if people and resources are not being moved to where they are needed. This poses both problems and opportunities for a military force. Sheer volume of traffic may prevent the movement of large numbers of military vehicles. It is not possible to search every truck, every car boot nor frisk every train passenger. 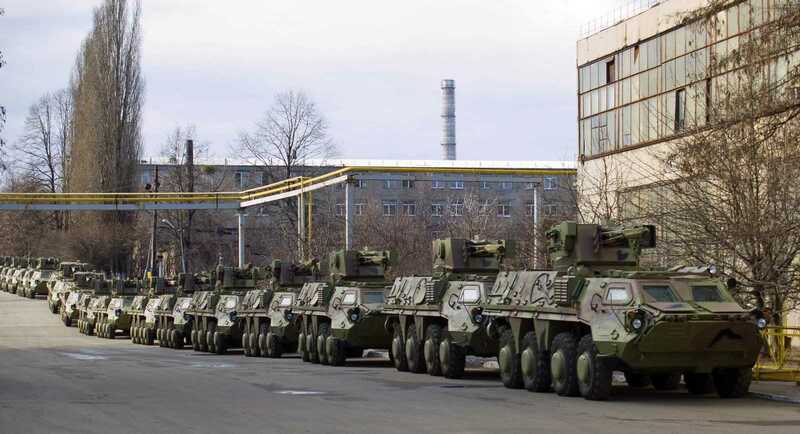 A small delivery truck can transport a platoon of hidden combat robots. Infiltration will be a common strategy in future operations in densely populated large urban areas. A populated city has thousands of eyes on every street, each pair with a communication device such as a phone or interface googles. In the past this blog has described sophisticated surveillance devices such as robo-bees, surveillance fluff and bird-bots. One of the most useful reconnaissance systems may be an unarmed individual with a phone. A seemingly innocent and everyday transmission may convey important information about the disposition and movement of enemy forces. Some such sources of information may indeed be innocent but no less useful. A girl posts a selfie with a police car visible in the background. 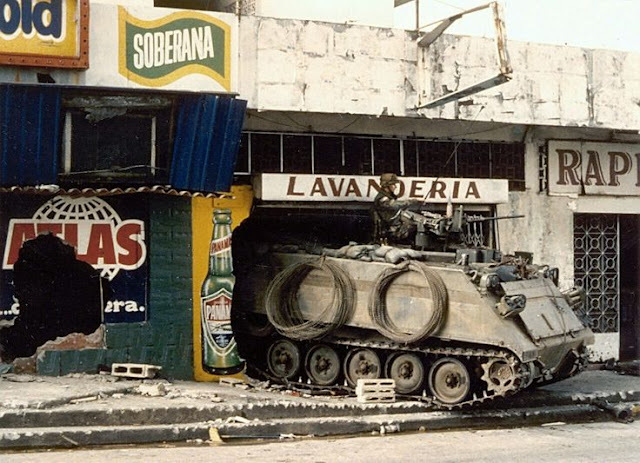 A youth tweets “Just seen an old M113 and BTR. Cool!” From such tidbits military intelligence may be built. Potentially AI systems could monitor thousands of transmissions a minute, sifting them for anything that may be utilized. The US Army loves the concept of networking units but this may not be practical. Firstly, neither the Air Force nor the Navy in their current forms have weapons with sufficient accuracy and focus for use in highly-populated urban areas. Densely populated areas are likely to have many large buildings which will inhibit the radio communications necessary for networking. Infantry units may need to be operating inside these buildings, or in narrow alleys between them. Contrary to what you see in movies, radio reception within buildings can be very variable. Most large buildings have some areas where phone reception is poor or non-existent. The potential for civilian transmissions compromising military security may require blanket jamming, which may also inhibit a military unit’s communications network. In a previous post I noted that enemies may use electronic warfare to neutralize the superior resources of better equipped units.